GATA Dispatches: "China expands currency swaps to avoid trading dollars"
Submitted by cpowell on 07:49PM ET Wednesday, April 1, 2009. Section: Daily Dispatches By Bob Chen and Judy ChenBloomberg NewsThursday, April 2, 2009http://www.bloomberg.com/apps/news?pid=20601087&sid=a.lhD2W5k.lY&refer=h...HONG KONG / SHANGHAI -- China's leaders, increasingly concerned about the nation's $740 billion of U.S. Treasuries, are making it easier for trading partners and consumers to do business in yuan. The People's Bank of China has agreed to provide 650 billion yuan ($95 billion) to Argentina, Belarus, Hong Kong, Indonesia, Malaysia, and South Korea through so-called currency swaps. More such arrangements are being planned so importers can avoid paying for Chinese goods with dollars, the central bank said. In Hong Kong, which has pegged the currency to its U.S. counterpart since 1983, stores from Park'n Shop supermarkets to jewelers accept yuan. Chinese officials are using the Group of 20 meeting, which begins today in London, to call for reducing the dollar’s role and the creation of a new global reserve currency. Premier Wen Jiabao has said he's concerned that a weaker greenback will erode the value of China's Treasuries as the U.S. tries to spend its way out of the longest recession since the 1930s. "China has learned from this financial crisis that we must reduce reliance on the dollar and promote the yuan as a regional or international currency," Zhang Ming, secretary general of the international finance research center at the Chinese Academy of Social Sciences said in a March 31 interview in Beijing. "We need to shield our economy from any more turmoil in the U.S." The yuan has risen 21 percent to 6.8343 per dollar since the central bank scrapped a fixed exchange rate in July 2005. China has limited its advance to 2.7 percent in the past year as a stronger currency made the nation's exports less competitive at a time when the economy is growing at the slowest pace in seven years. Gross domestic product will expand 6.5 percent in 2009, from 9 percent last year, according to the World Bank. Wen said on March 13 that China, the world's biggest holder of foreign exchange reserves, wants guarantees for the safety of its U.S. assets. The Fed last month announced a $1.15 trillion plan to buy Treasuries and mortgage-related bonds, boosting supply of the currency. Anxiety increased in the past year because the dollar's gains were driven in part by investors fleeing riskier assets after the bankruptcy of Lehman Brothers Holdings Inc. in September froze credit markets. The PBOC said March 31 its swaps were designed to help developing nations running short of dollars "cope with the current crisis." 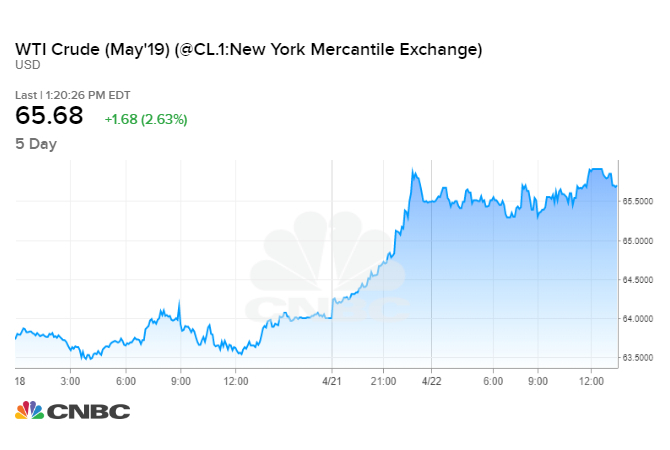 The Dollar Index, which the ICE uses to track the greenback against the euro, yen, pound, Canadian dollar, Swiss franc, and Swedish krona, rallied 18 percent in the past year. It dropped 2.9 percent last month as the Fed started buying Treasuries. PBOC Governor Zhou Xiaochuan asked the International Monetary Fund on March 23 to expand the use of so-called Special Drawing Rights, which are valued against a basket of currencies, and move toward a "super-sovereign reserve currency." G-20 members Russia and Indonesia supported the proposal, which would reduce the volatility of reserves. China and its Asian allies will adopt a "mild approach" on the plan to avoid driving down the value of U.S. investments, said Lee Chi Hun, deputy director at Korea Centre for International Finance, a Seoul-based government research agency. "A rapid collapse in the dollar system will cause damage to those who hold the most dollar assets," said Lee. The proposal is "a strong warning for the U.S. to protect the value of Chinese assets," he said. The dollar made up 64 percent of the world's $6.71 trillion foreign-exchange reserves at the end of last year, down from 64.4 percent in September and 72.7 percent in June 2001, IMF data shows. The yuan can't be a reserve currency because it isn't fully convertible. "It's very premature to think the U.S. dollar can be replaced," said Diane Lin, a Sydney-based fund manager at Pengana Capital, which oversees about $1.9 billion. "The Chinese yuan will eventually become a convertible currency internationally. But we are talking about a timeframe of over five years." China, the world's second-largest exporter after Germany, according to the World Trade Organization, is turning to other strategies to reduce its dependence on the U.S. currency. Bank of China Ltd., the nation's largest foreign-exchange lender, has started trials for the yuan settlement program in Shanghai and Hong Kong, President Li Lihui said in Beijing last month. While China allowed the currency to be used for trading goods and services in December 1996, it had to be converted before cross-border payments were made. Controls on buying or selling yuan for investment are also being eased. The government said on Dec. 9 it will triple the amount of domestic securities that overseas funds can buy under the qualified foreign institutional investors program to $30 billion, without giving a timeframe. "The next step will probably be to allow use of yuan in trade with more regions or nations," said Chan Wing Kee, managing director of Hong Kong-based Yangtzekiang Garment Ltd., which makes GAP and Levi's clothes. "I'm pretty sure the yuan has more potential to strengthen than the dollar, the euro, the pound, and the yen." Indonesian companies will be able to buy Chinese goods using yuan for the first time after last month's 100 billion yuan currency swap, Bank Indonesia Deputy Governor Hartadi Sarwono said yesterday in Jakarta. "Importers don't need to use dollars and they can directly pay their import bills with yuan," Sarwono said. "This will reduce pressure in the dollar market and help stabilize the foreign-exchange rate." Hong Kong banks have been able to accept yuan deposits since 2004 and stores have increasingly welcomed payment in China's currency since 2003, when a relaxation of visa controls led to a surge in the number of mainlanders visiting the city. "A lot of tourists were bringing nothing but cash for purchases so we had to adapt as retailers," said Caroline Mak, chairman of the Hong Kong Retail Management Association. "Watch -- even jewelry shops, they all take yuan now." * * *Help keep GATA goingGATA is a civil rights and educational organization based in the United States and tax-exempt under the U.S. Internal Revenue Code. Its e-mail dispatches are free, and you can subscribe at:http://www.gata.org. FT.com: India's e "more durable than China"
India’s economy ‘more durable’ than China By James Lamont, Alec Russell and Amy Kazmin in New Delhi. Forbes.com Alerts: "Final Glance: Finance Companies"
Fundamental Outlook at 1400 GMT (EDT + 0400). CNBC:"Job Losses at 742,000 in March; Planned Layoffs Fall"
Job losses in the U.S. private sector accelerated in March, more than economists' expectations, according to a report by ADP Employer Services Wednesday.